At 22, Patrick Hsu has accomplished more than most people his age. During his doctoral training in the Molecules, Cells, and Organisms program under Xiaowei Zhuang in the Department of Chemistry and Feng Zhang at the Broad Institute, Hsu harnessed a bacterial immune system known as CRISPR and the protein Cas9 to edit DNA with incredible accuracy. And as a postdoctoral fellow at the Broad Institute, he worked to translate this revolutionary technology for human gene therapy. 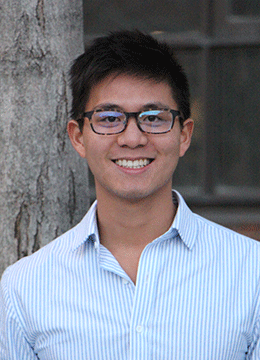 In recognition of his extraordinary accomplishments and research, Forbes Magazine named Hsu one of 2015’s 30 Scientists Under 30. CRISPR research is becoming increasingly popular in the fields of biology and biotechnology, and it has broad implications ranging from expanding our understanding of basic biology to developing a new generation of medical therapeutics—Hsu’s interest. “It is allowing us to push genome engineering technologies to modify genes and cells in innovative ways,” said Hsu, who recently completed his postdoctoral fellowship at the Broad Institute.